Father Hidalgo was the last one to produce wine in the area until the Viceroy Francisco Venegas burned the vineyard in 1810. It wasn't until 2005 that Don Juan Manchon and his son began to produce wine again at “Cuna de Tierra”. Back in the 18th Century, Dolores Hidalgo was part of San Miguel de Allende and for this the famous Canal family had a spectacular hacienda now called “Hacienda las Trancas” where there is a small vineyard. No groups to join in October. Only private tours available any day you want. $70 USD per person. Minimum of four people required for a tour. Please make reservations in advance. Our van will pick you up at your home. This tour takes five hours round-trip. The drive from San Miguel to Cuna de Tierra is 40 minutes. 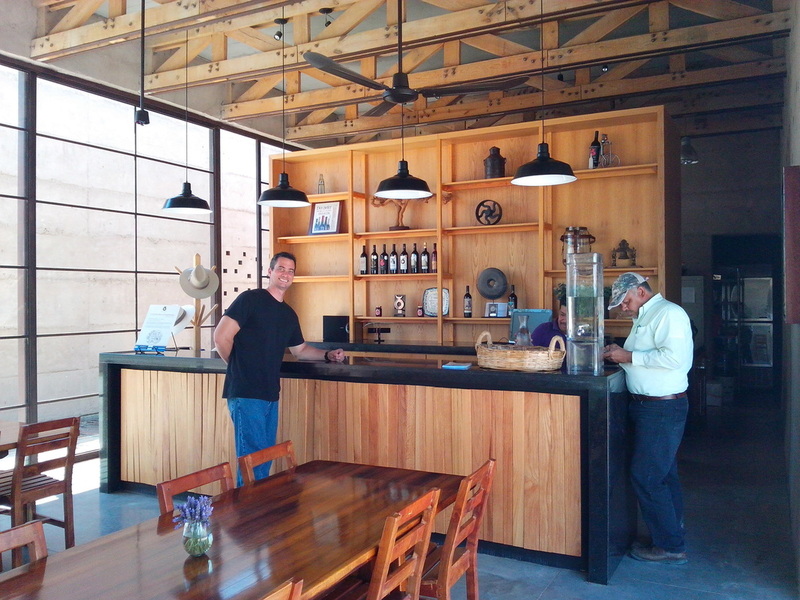 We will have a tour inside Cuna de Tierra by an oenologist (wine expert) and have the opportunity to taste their wine. Around noon we will visit Hacienda las Trancas where we will have a tour of the premises. Wine and guacamole at the hacienda is included, then we will return to San Miguel and arrive 2:00pm. Your guide/driver is a very knowledgeable and trustworthy English speaking guide. Our guides are experts in history, architecture, archeology and art. There will be an oenologist guide at Cuna de Tierra. Transportation, English speaking tour guide, bottles of water, entrance fee and two glasses of wine at Cuna de Tierra, and one glass of wine and guacamole at Hacienda las Trancas.